I had the pleasure to speak at several vacation rental industry events, such as the VRMA National Conference in Phoenix and the Vacation Rental World Summit in Barcelona. I met friends and business connections who were very interested in knowing Booking.com now had a clear focus Homes and Apartments. But I also got into contact with a few people who wanted to know more about Booking.com and to know more job opportunities. With already more than 2,000,000 choices in short-term rentals on its website, Booking.com is a key player in the industry, along with HomeAway, Airbnb and TripAdvisor. If you are interested in joining Booking.com’s Homes and Apartments department, feel free to contact me. I am very happy to discuss your options and see together how a position at Booking.com would be a great fit for you. All over the world and here at the headquarters in Amsterdam, I’ve seen positions open up where a working knowledge of the vacation rental industry can make a true difference. 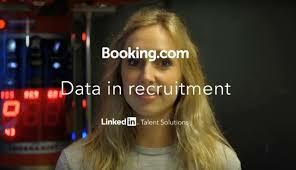 Once you join Booking.com and if you are successful, you can easily grow and change jobs. The competition is high, but bringing your knowledge of what vacation rental managers and owners feel can make get you a foot in the door. In our Homes & Apartments division, I’ve met people with very diverse backgrounds: They used to work at vacation rental property management companies, at channel managers or even as vacation rental owners (just like me). Now, to succeed when applying for a job at Booking.com, it is no secret that you have to show that you are good at assembling, understanding and using data. 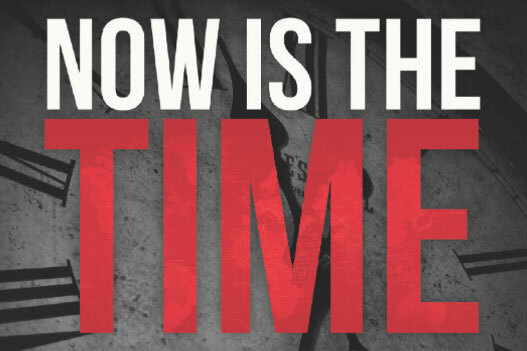 This is a global company, so you have to be able to get insights from big trends. On a local level, data can also help you set the right priorities on what to work on. When you go to Booking.com’s recruitment website, called “WorkingAtBooking.com“, search for job titles that contain the words “Home” or “Apartments”. You will see a list of openings, with exact title and the location. For instance, “Account Manager Booking Home – Orlando” and “Account Manager Homes and Apartments – Malaga“. An account manager’s job is to help property managers make the most of Booking.com, by helping them list their properties and improve their performance. Account managers can meet property managers on a regular basis. Now, for the thousands of vacation rental owners, this is of course not possible. So an account manager’s job here is to educate his market through webinars, for instance: This way, questions can be asked and answered in a more scalable way. Account managers are a strong link between the local office, the local vacation rental owners and managers, the region and the headquarters in Amsterdam. Now, on “WorkingAtBooking.com“, search for job titles that contain the words “Commercial Owner“. Note that this refers to a job description, not to a specific position within Booking.com’s Homes and Apartments division. “Commercial Owner” is my own job title. Basically, you’d be in charge of business development and commercial innovation: What do homeowners and property managers need? How to develop such features? How to test them and then roll them out? Depending on the company’s needs and on your background, you could indeed be working for the Homes and Apartments department. But if you are coming from a channel manager you may for instance first join our Connectivity team. Things change fast at the Amsterdam headquarters and, after 1.5 year on average, you’d already be working for another division. It is more about your potential than about your expertise. Given your experience, you can be applying for a Junior Commercial Owner, Commercial Owner or Lead Commercial Owner position. I hope that this article will make you curious about and succeed at applying for a job at Booking.com’s Homes and Apartment division. It’s a great time to join, as the company is building up its vacation rental team all around the world.